These Salty Oats - Care for a Stubby? Oliver Strand wrote that these bottles look as if they belong in a "cooler on the porch". I don't disagree. The dark amber glass, dotted with a layer of condensation, brings to mind an old fashioned root beer. 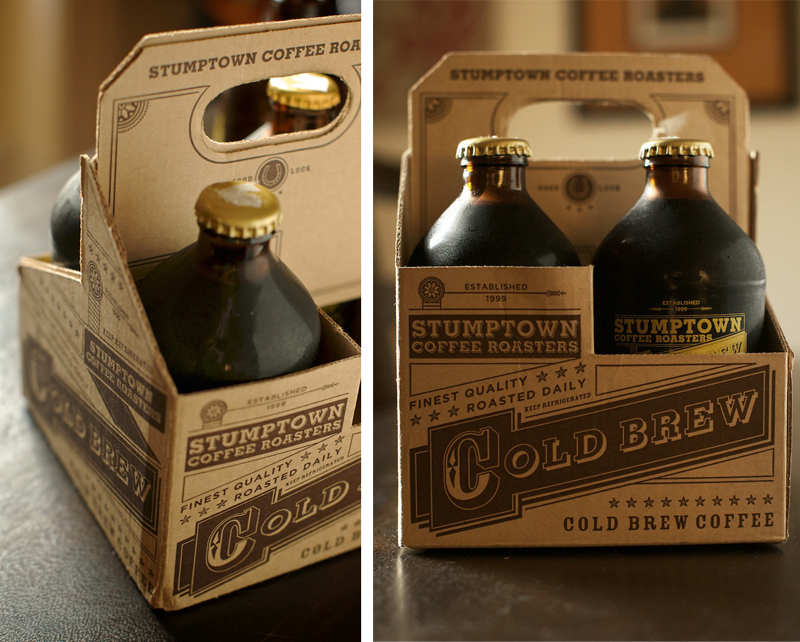 But instead of carbonation, these "stubbies" are filled with Stumptown's cold brew coffee. 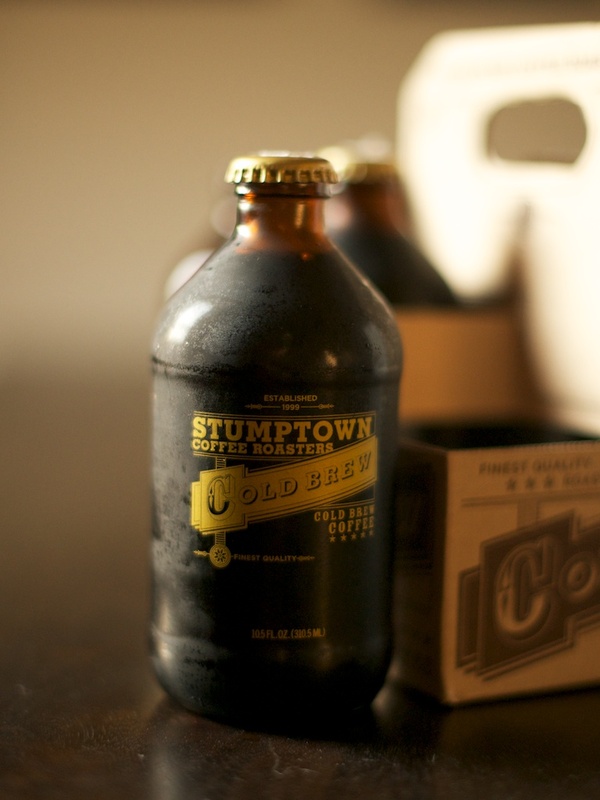 Portland Stumptown cafes have been selling these since last March, but I hadn't laid eyes on them locally until this week even though Stumptown's Red Hook facility started bottling the cold brew this summer. 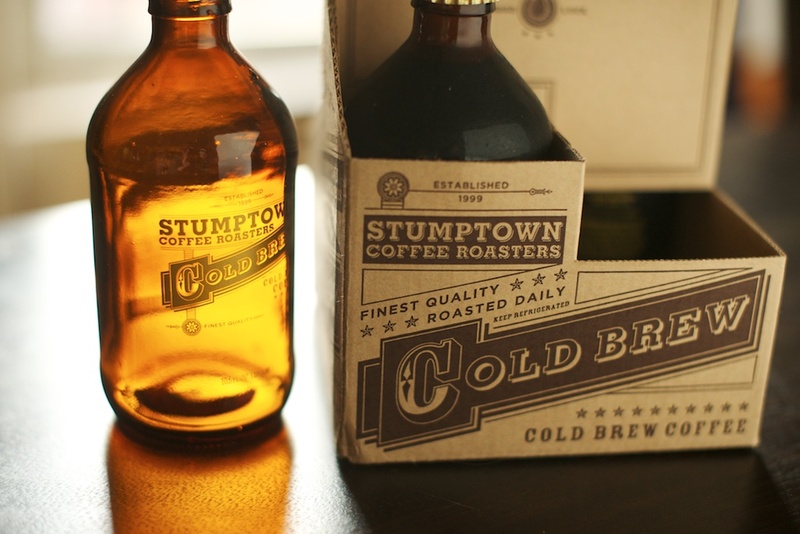 The bottles seem expensive at $3.50 a stubby, but in actuality that's only 25 cents more expensive than if you were to order a large cold brew coffee at the Ace Hotel. 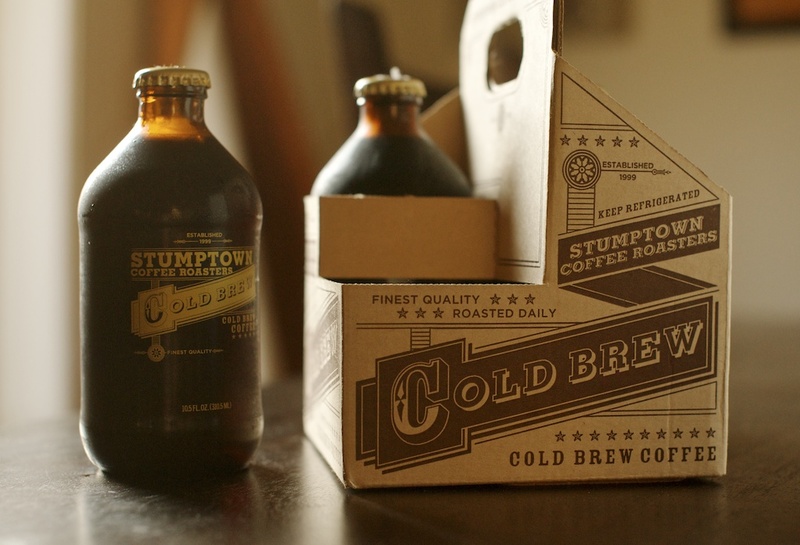 The coffee's flavor is as crisp and layered as if you'd just ordered it from a barista. And as a lover of nostalgic, throw-back design, I'm partial to the bottles' (and the bottle carrier's) Americana flourish. 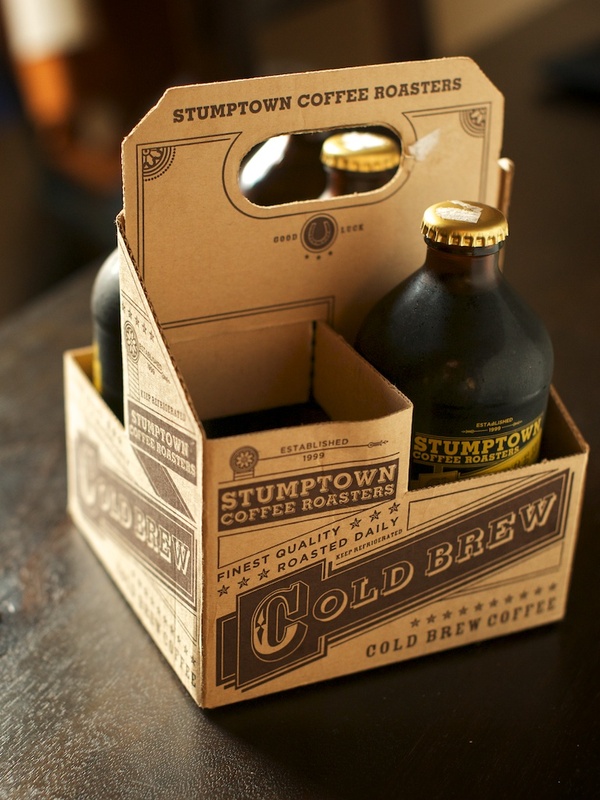 In fact, while standing in a crowded line at Union Market, I only spotted the Stumptown 4-pack among the huge selection of other bottled beverages because of the design.